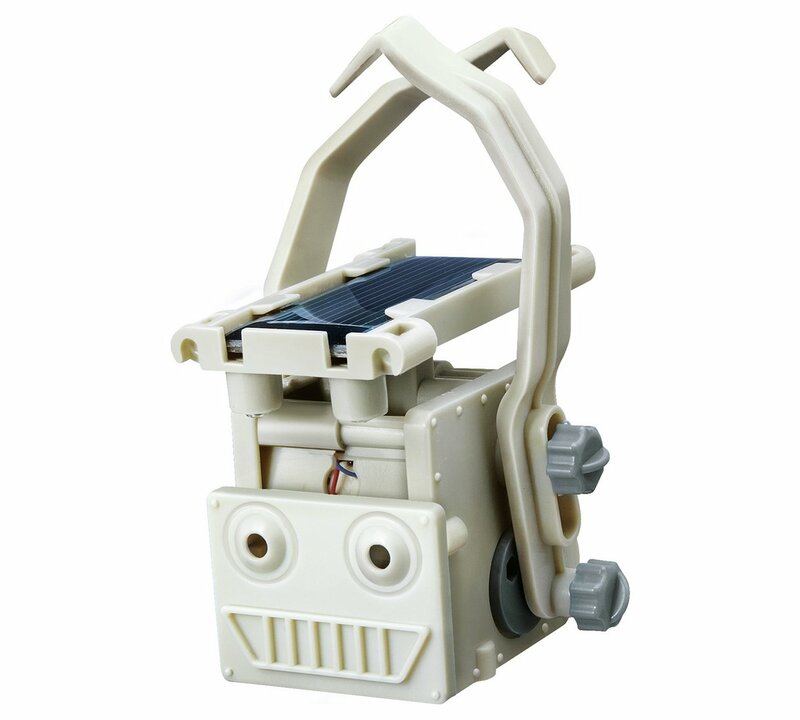 The solar-powered robot, compact and multifunctional robot! 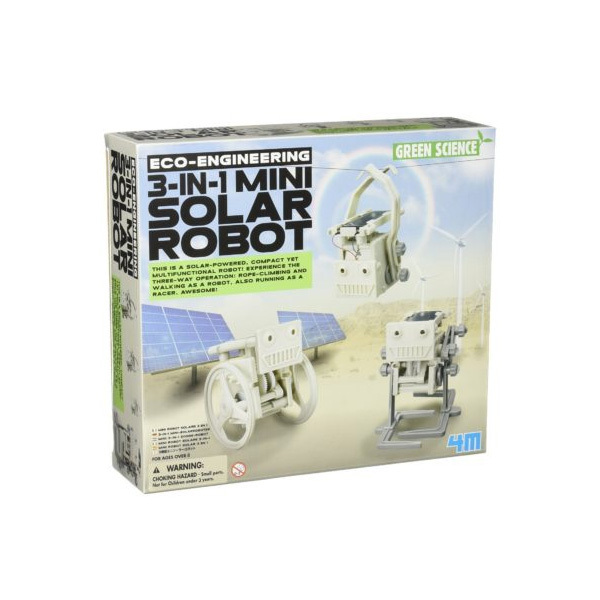 Experience hands-on learning with the 4M Solar Robot. 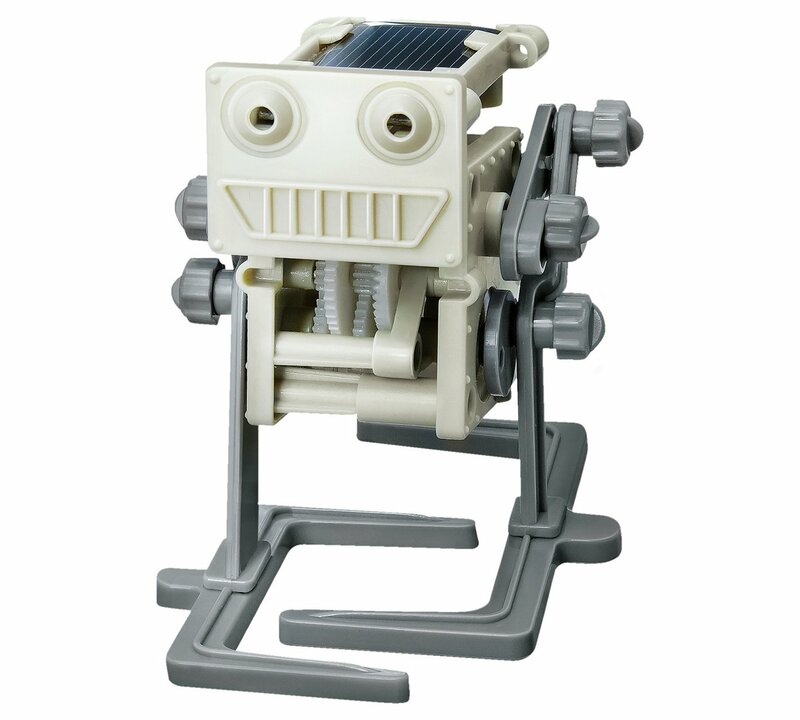 Propel your own robot using the power of the sun. Switch between rolling, walking, and rope climbing modes with this three-in-one toy. 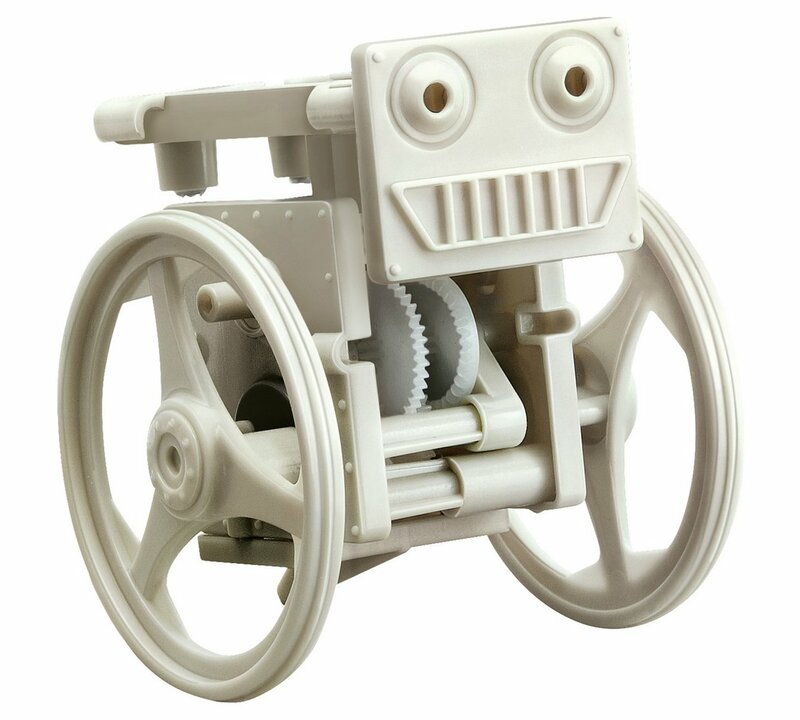 Part of the Eco-Engineering and Green Science series from 4M, foster science interest with this robot building kit. Add a small screwdriver (sold separately) to assemble your creation. WHAT’S IN THE BOX: Hook x 2, gearbox cover, faceplate, baseplate, wheel x 2, solar panel support, link arm x 2, cam wheel x 2, foot x 2, leg x 2, connector x 8, solar gearbox, motor with wires, solar panel, string, screws and detailed instructions. Also required but not included: a small crosshead screwdriver.